There is also a large scratch on the RAM cover. Condition: Good condition Lenovo ThinkPad T450S dual core i5-5300U 2.30GHz with 8GB of RAM and a 256GB SSD with Windows 10 Pro installed. May also have evidence of sticker residue from previous use. The Lenovo ThinkPad S1 Yoga 20CD00AVUS 12.5" Convertible Ultrabook Computer is designed for convenience and portability. Bluetooth 4.0 is built-in for wireless communication with other Bluetooth-enabled devices like smartphones. **Pricing is firm** message for any questions about the item, not to get a lower price or to conduct the transaction outside of eBay/PayPal. Lenovo 330S-15ARR 15.6” Laptop- AMD Ryzen 5 - 8GB Memory - 128GB Solid state. Personally owned, booted up maybe 5 times total. Great laptop, just don't need it like i thought i would. Would be awesome for students! Includes a Targus laptop sleeve and a wireless mouse. Signature will be required for delivery as well as a confirmed address with Paypal. Lenovo ideapad 110S-11IBR Netbook - White. 2GB RAM / 32GB SSD. in order to avoid an Unpaid Item Case and/or Strike. Do not attempt to repair item on your own. TouchPad - works properly. all pictures of the actual item. ThinkPad T450s Ultrabook Laptop. Combining an internal battery with an external hot-swappable battery, Power Bridge provides flexibility and maximum battery life. Power Bridge Technology. Tested to Military Specifications. Brand: LenovoModel: Lenovo ThinkPad T420SProcessor: Intel Core i5 2nd Gen.
Model: 81FB006AUS. 128GB solid state drive system storage. Series: Ideapad. Processor Speed: 2GHz. Make: Lenovo. AMD 2nd Generation Ryzen 5. Battery Life: 5 Hours. Q: Are Your Prices Negotiable?. Condition is New. Product Series P52s. Product Family ThinkPad P52s. A great choice for designers, engineers, and video artists. Product Line ThinkPad. Processor Type Core i7. Manufacturer Lenovo. THIS, HOWEVER, IS THE HIGHEST QUALITY ITEM I CURRENTLY HAVE AVAILABLE. 3- 128GB SSD. Lightweight Professional Lenovo Thinkpad series with follow remarkable features 10- WEBCAM and DVD RW Drive. 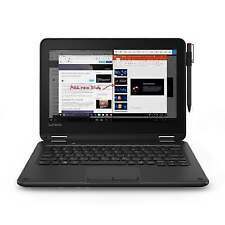 This nice thin laptop has 14" screen but it's light and has full power and features. (1) Lenovo ThinkPad W550s 15" Laptop. We always strive for FIVE-STAR service in every category that you can rate us on. We will do what it takes to make it right. Orders are processed within 24 hours. Processor: Intel Core i7 5th Gen. Condition: Good condition Lenovo ThinkPad T450S Dual Core i5-5300U 2.30GHz with 8GB of RAM and a 500GB HDD with Windows 10 Pro. System has a small scratch on the display, see pictures for details. The Lenovo logo on the inside of the laptop is slightly worn. 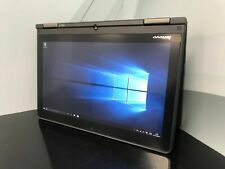 Lenovo Flex 11 81A7000BUS Laptop. Trending at $299.00eBay determines this price through a machine learned model of the product's sale prices within the last 90 days. Lenovo ThinkPad Twist (S230U) 12.5" Notebook PC. 3- 256GB Solid State Drive. Computer has been refurbished with a reconditioned hard drive and upgraded RAM. Our laptop battery policy Making sure you’re happy is the most important thing to us. 1600 x 900 screen resolution. New in box, Never used. Condition is Manufacturer refurbished. It is fast and for affordable price. On this products we will personally take videos and photos of the product been working so there will no doubt plus to make sure the product is working for you, we will not check the product if it’s sealed. Processor: Intel Core i5 4th Gen.
128 GB SSD. Windows 10 S. 1 USB Type-C (DisplayPort 1.2) • Stereo headphone/mic jack combo. Screen size. 12.3" Full HD WUXGA touchscreen (1920 x 1280). 802.11ac LTE Bluetooth 4.1. 5MP front, 13MP rear webcam. Lenovo IdeaPad Flex 6-14ARR 81HA000JUS 14" Touchscreen 2 in 1 Notebook - 1366 x 768 - Ryzen 3 2200U - 4 GB RAM - 128 GB SSD - Windows 10 S - AMD Radeon Vega 3 Graphics - Twisted nematic (TN) - English (US) Keyboard - Bluetooth. Windows Hello with fingerprint reader lets you log in quickly and securely. It’s beautiful, too—featuring a stunning display and an ultra-narrow bezel that makes everything look better. For eye-catching design and breathtaking performance, look no further. TheLenovo ThinkPad S1 Yoga 20CD00AVUS 12.5" Convertible Ultrabook Computer is designed for convenience and portability. Bluetooth 4.0 is built-in for wireless communication with other Bluetooth-enabled devices like smartphones. Power through any task with ease. Lenovo warranty valid through October 2019. Physical condition: Grade A, minimal to no signs of wear. We are Lucy's Strawberry Fields. We never compromise on quality, period.  Lenovo Miix 630-12Q35 Laptop W/ Keyboard Dock. MODEL Miix 630-12Q35. HARD DRIVE 128GB SSD. INPUT DEVICES Dock with keyboard and touch pad, backlight, Stylus pen. Keyboard Dock. AUDIO SPEAKERS Stereo speakers, HD Audio. The Lenovo IdeaPad 100s 14" Computer is a 14" laptop computer with a LED HD display and is everything you need for on the go computing. Part Number FBA_80R900FXUS, 100S. Storage Capacity 32GB. Screen Size 14". The Lenovo Miix 630 is our first device built around the new Qualcomm Snapdragon processor. With powerful Qualcomm Snapdragon processing; blazing-fast 4G LTE; and an epic 20-hour battery; the Miix 630 makes everything look easy. Lenovo ThinkPad T430s. 2x 4GB = 8GB. Hard Drive. You will get what you see in the photos ONLY. Technical Specifications. Processor: Intel Core i5 3rd Gen.
Hard Drive: Samsung SSD 850 EVO 250 GB. Lenovo Thinkpad t440s i5-4300U 4 GB RAM 500 GB HDD Windows 10 Pro Webcam. Hard Drive: 500 GB. Lenovo S145-15IWL Laptop: Stay productive with this Lenovo IdeaPad notebook. This Lenovo IdeaPad notebook has a 15.6-in. anti-glare screen that displays images in resolutions up to 1366 x 768. 500GB hard drive for serviceable file storage space. This laptop boasts state-of-the-art processing and accelerated graphics performance, as well as a redesigned keyboard. Power through any task with ease with the Idea Pad 330S. Quad-core, eight-way processing. Lenovo Flex 11 2-in-1 Laptop, 11.6"Touch Pentium Silver N5000/4GB/64 GB eMMC. Condition is New. Shipped with USPS Priority Mail Small Flat Rate Box. 128GB solid state drive (SSD). Lenovo 330S-15IKB Laptop: Increase your productivity with this Lenovo IdeaPad laptop. Lenovo 330S-15IKB 81F5. Note: This laptop does not include a built-in DVD/CD drive. Storage Type: eMMC. eMMC Capacity: 64 gigabytes. Lenovo 130S-11IGM 81KT. Do the things you want with protection and performance that lasts. Note: This laptop does not include a built-in DVD/CD drive. 64GB eMMc Storage. Microsoft® Windows 10 in S Mode. Windows 10 in S Mode. Optical Drive. 1x USB 3.0. Hard Drive Size. Integrated Graphics. Graphic Card. Validity period starts with first connection to the cellular network. LTE coverage required reach LTE speeds. Qualcomm Snapdragon 835. WLAN : 802.11 AC. Runs Windows 10 with Start, Taskbar, Action Center and File Explorer, plus all the new features like Ink, Hello and Cortana. Lenovo Ideapad 100S-14IBR 14'' Laptop 1.60GHz 2GB 32GB HD - Latest Windows 10! Great used condition! Latest version of Windows 10. Immediate payment with PayPal required. Thank you! 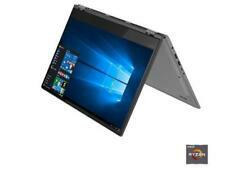 Lenovo 81HA000JUS 2 in 1 Notebook - IdeaPad Flex 6 14ARR 14" Touchscreen 1366 x 768 Ryzen 3 2200U 4 GB RAM 128 GB SSD Windows 10 S AMD Radeon Vega 3 Graphics Twisted nematic (TN) English (US) Keyboard Bluetooth. 128GB solid state drive (SSD). Lenovo 330S-15IKB Laptop: Be more productive with this Lenovo IdeaPad laptop. Lenovo 330S-15IKB 81F5. Note: This laptop does not include a built-in DVD/CD drive. Processor Model Number: i5-8250U.